What makes you happy about where you live? 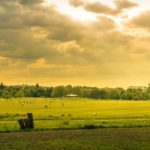 What do you want the future to look like in your local area? And what can you do – or change – to ensure that your community is a great place to live and work? These are the types of questions we’ll be exploring with people in the Isle of Man, at an upcoming Wellbeing Week. The week will be run from 22nd to 25th February, by EcoVannin, and with support from our team at the Network of Wellbeing (NOW) as well as Friends of the Earth’s Economics and Resource Use team. 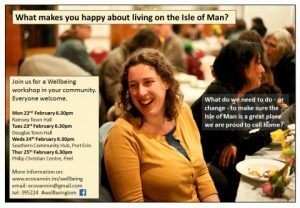 The initiative will see four workshops held around the Isle of Man, which will have the aim of identifying what makes a strong, vibrant local community, and what gives people a sense of wellbeing in their daily lives. 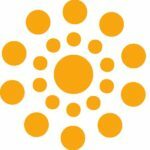 EcoVannin is well-placed to host this Wellbeing Week, as they are a partnership of local environmental organisations and key Government departments, formed to spearhead initiatives to secure a sustainable future for the Isle of Man in which people, environment and economy can flourish. During the week, NOW’s Larch Maxey and Richard Dyer, Economics Campaigner at Friends of the Earth, will help support a number of wellbeing workshops, and will also give a presentation to members of Tynwald on the benefits of focussing policy on delivering wellbeing. Muriel Garland, chair of EcoVannin, said: “This is a wonderful opportunity for everyone to take a little time out from our everyday lives and reflect on what is important to us as residents of the Isle of Man. The workshops are free to attend and people of all ages and viewpoints are welcome. The workshops are interactive events and participants will be invited to discuss ideas in small groups and to work with others to take their ideas forward following the workshop. More details available on www.ecovannin.im/wellbeing and you can also follow events on social media using the hash tag #wellbeingiom. 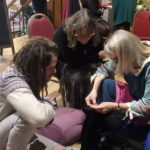 NOW’s involvement in this Wellbeing Week forms part of our ongoing work with Friends of the Earth, running and supporting wellbeing workshops across the UK. For further details about this work and how you could get involved, and potentially run a wellbeing workshop in your own community, please click here.